A Fun-filled Day (Or Night) at the Horse Races! 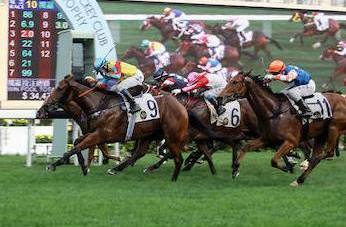 Horse racing in Hong Kong is serious stuff and a major part of the Hong Kong economy. The sport was introduced by the British when they first came to Hong Kong in 1841 and has become since then, a sport for the masses and a favourite pastime, which given Chinese love of gambling is not surprising. 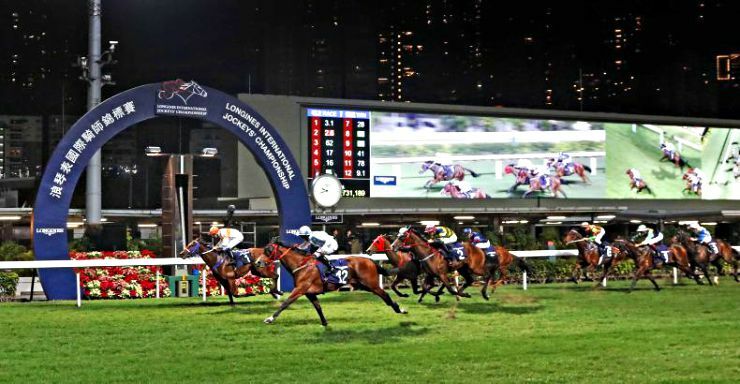 The Hong Kong Jockey Club, one of the oldest Hong Kong institutions founded to promote and administer horse racing and other betting entertainment, is Hong Kong's biggest taxpayer as well as one of the city's largest charity donors. Happy Valley is a world-class state-of-the-art racing course. It has certainly evolved through the years since its first recorded race in 1846. Back then, the site of Happy Valley was not more than swamp land, but the only flat surface in Hong Kong Island, so that was the location of the racing course by default. Through the years, the city has built around the Happy Valley race course, and it is now practically surrounded by skyscrapers. That is indeed a sight in itself, specially at night when the city is illuminated. 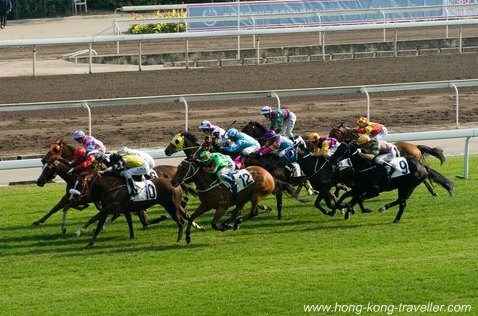 Horse-Racing Season at Happy Valley is from September to June (sometimes early July). Happy Valley races are normally on Wednesday Nights, first race starts at 7:15 p.m. and the gates open at 5:15 p.m. The races are done by 11:00 p.m. The Horse Races at Happy Valley are another of Hong Kong's bargains. Entrance to the General Stand is only HK10 and can be paid at the entrance gates with your handy Octopus Card. The General Stand is where the locals meet, you are at the track level and there's a great atmosphere and people watching opportunities here. You can easily stand by the rails and take in all the action at the course as the horses blitz by in a frenzy to the finish line, or just hang out by the beer tents, get a bite to eat (anything fast-food from sausages to McDonald's is available) and enjoy the "party atmosphere". 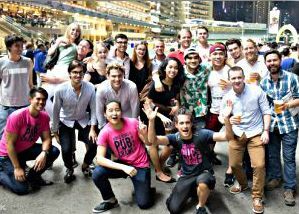 And while you are in that party mood, why not combine a night of horse racing and pub crawling in Hong Kong? 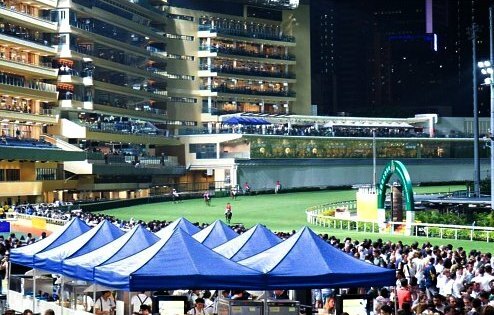 Enjoy a welcome shot, discounted drinks, meet other crawlers then follow your experienced pub crawl guides to the Happy Valley Racecourse where you will be offered a free beer voucher plus a betting book and tutorial to get really involved in the racing atmosphere (from 8:30pm to 10:00pm). After your fun time in Happy Valley, continue to exploring 3 subsequent off-the-beaten-track locations in this amazing city. Finally stop at the Wan Chai pub and bar district. The Second Floor Terrace has just recently been renovated. It has over 500 seats and admission to this area is HK 20 in addition to the general admission. The Second Floor Terrace is open to the general public and has great views of the entire course as well as the finishing post. There are comfortable seats with writing tables (for the more serious racer) and the betting area is just behind. Tickets and entrance to the 2F Terrace is through the general public stands. 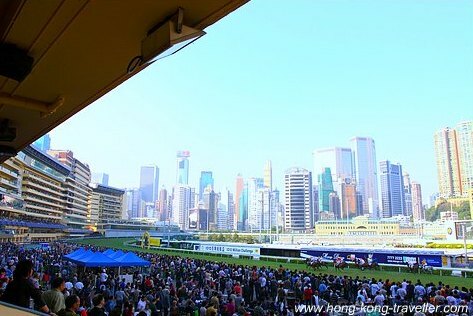 Tourists can buy a Members Badge for HK 100 which will give you access to the Members' areas, including the Betting Halls in the upper floors, the Parade area at trackside and the finishing post area. To get your Tourist Badge you will need to present your passport, and entrance is through the Members' area not the general admission entrance. This is a very popular option, and is offered exclusively to tourists. Everything is taken care of, including the transport to/from the race track and a Chinese/Western buffet dinner and drinks. This is a very fun option where you join other fellow visitors and everyone learns together in a very lively atmosphere how the betting process works, to place a few bets (you get a HK 30 voucher to get you stated!) and whether you win or lose is a super fun and enjoyable evening out. This tour is also offered for the Sha Tin Races on weekends. If you have a group of at least 10 people, it is possible for non-members to rent a Private Box at the Happy Valley Racecourse. There are many catering options you can choose from and prices start at HK410 per person. Click here to find out more about holding a private function at one of Happy Valley's Private Boxes . 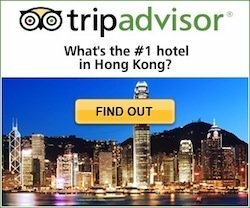 How to get to Happy Valley Hong Kong? The closest and most convenient MTR station to the Happy Valley Race Course is Causeway Bay, Exit A. But from the station to the entrance gates you need to allow for an extra 20 minute walk. Taxis are probably the easiest way to get there. Here are some sample taxi fares between Happy Valley and several area hotels. Trams are the fun and "scenic" way to get there, and the most economical option at HK$2. Get off at the Happy Valley Tram Terminus.